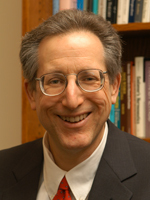 Jack Balkin is Knight Professor of Constitutional Law and the First Amendment at Yale University Law School, as well as director of the school's Information Society Project, an interdisciplinary center devoted to the study of law and the new information technologies. He received his Ph.D. in philosophy from Cambridge University, and his A.B. and J.D degrees from Harvard University. The author of four books, Professor Balkin writes in the areas of constitutional law, torts, jurisprudence, telecommunications and cyberspace law, social and cultural theory, and the theory of ideology. His interdisciplinary work ranges from law and cultural evolution to law and music.